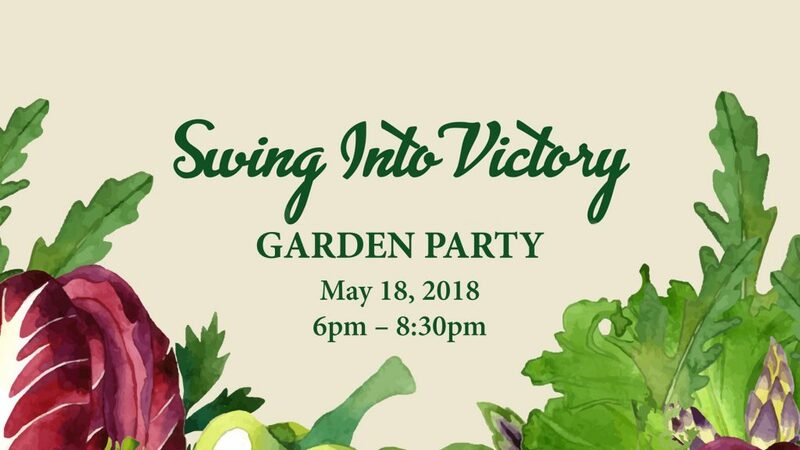 The Smithsonian Libraries and Smithsonian Gardens co-host “Swing Into Victory! A World War II Era Garden Party Garden Party” Friday, May 18, at 6:00 p.m. in the Smithsonian’s Enid A. Haupt Garden and the historic Arts and Industries Building. The event celebrates the patriotic American food gardens of World War II with live music, swing dancing, canning demonstrations, activities, tastings and food and drink inspired by the era. The event is presented in tandem with “Cultivating America’s Gardens,” a joint exhibition from the Smithsonian Libraries and Smithsonian Gardens in the National Museum of American History. Gardens to Glass Cocktail Contest – Local distilleries will compete to create the best garden-fresh cocktail inspired by World War II victory gardens. Sample the libations, learn how to make them at home, and vote for your favorite cocktail. Can All You Can – Learn how to preserve your perishable produce and shelve future meals. Pickles, jams and salsas win the battle against boring meals. War on Waste – Don’t toss it, grow it! Discover ten vegetables you can grow from kitchen scraps and no cost containers saved from the recycling bin. Period Pics – Step back in time to the 1940s with our green screen and snap a souvenir Polaroid of you winning the war on the home front. Field Equipment (Tools for Success) – See vintage gardening tools on display, and come handle those tools of the trade and learn from our Victory Garden horticulturist about cultivating heirloom crops with heirloom implements. Recipe for Victory – Browse victory garden cookbooks and seed catalogs and learn how victory gardens supplemented wartime diets. Pick up a Burpee seed packet to start your very own victory garden. Photo Ops with Women’s Land Army Props – Don a kerchief or straw hat, or sport a tattoo to show your patriotism. Time to Get Swinging! – Seasoned swing dancers will show you the moves as Sean Lane and the Bay Jazz Project perform jazz music popular in the 1940s. You’ll have a swell time! For more information and tickets, visit library.si.edu or gardens.si.edu or call 202-633-2220.